THE REBUILDING Center in Portland, Oregon was founded in 1998 through a grant that covered a forklift and a 20-foot flatbed truck. Located 15 minutes from the metro transfer station, the 70,000square-foot facility sells used building materials, which initially were all donated by the general public and other contractors. It was established by Our United Villages, a nonprofit organization that provides educational, financial and human resources to Portland neighborhoods that want to address social, economic and related issues. The following year, Our United Villages formed an operation called DeConstruction Services to increase the volume of materials coming to the Rebuilding Center. Largely due to this enterprise, the store has diverted 300,000 to 350,000 tons from Portland’s waste stream since it opened. In the ten-month period that concluded in February, retail sales totaled $350,000 and contracts from deconstruction amounted to about $650,000 – a total of $1 million, which far exceeds expectations. The monthly payroll for a work force of about 40 for the deconstruction crews and store amounts to $65,000 to $70,000/month. “By the end of the summer, given the fact that I’ve got about 40 houses under contract over the course of the next four to five months, we will be increasing our deconstruction crews to around 45 or possibly even 50,” says Jim Primdahl, director of DeConstruction Services. 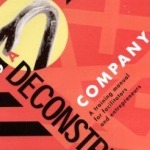 DeConstruction Services was launched without any grants. The operation has a $30,000 line of credit that has never been tapped. When services are requested, Primdahl or his associate, Chris Cross, visit the site to ensure that the labor requirements would be financially feasible. The lack of dependence on recycling revenue (35 percent of total revenues) has enabled DeConstruction Services to be more efficient at recovery. “It frees up the crew in the field from picking up a board and thinking `this has too many nails in it – if I take the time to pull the nails, what is it going to fetch at the yard?’ The resale value of the materials is of no consequence to the crews whatsoever,” notes Primdahl. DECONSTRUCTION HARVEST About 85 percent of the material from deconstructed houses can be reused or recycled, according to Primdahl. “We’re able to achieve that level primarily because recycling markets are fairly mature here,” he notes. Items recovered for resale include: kitchen and bath cabinetry and fixtures; new or nearly new carpeting; clean lumber that is at least four feet long; flooring, siding, trim and moldings; unbroken windows; plywood, chipwood and oriented strand board; masonite kitchen and bath sinks with no chips or cracks; interior, exterior, security and screen doors; reusable tiles, bricks, paving, etc. ; faucets and plumbing; hot water heaters made in 1994 or later; electrical and HVAC supplies; bathtubs and toilets without chips or cracks; and other building/remodeling materials. Special products often available at the Rebuilding Center include wavy glass windows, weathered fivepanel doors, antique cabinet doors and fourby-eight or larger laminate sheets. Standard drop boxes are placed at job sites to separate clean lumber and wood scrap from painted or finished wood. Undersized or damaged wood pieces from a home generally fill up one 30-cubic yard container, which is trucked to mulch producers for a tipping fee of $40/ton, compared to $63/ton at the landfill. “Deconstruction businesses represent major opportunities for wood recyclers to increase their mulch volumes,” says Primdahl. Roofing often is sent to be ground for use in asphalt products. Glass, metal and other materials are recycled when they are too damaged or small for reuse. Painted and treated wood is landfilled to avoid health and environmental risks. At the Rosemount Commons housing project in Portland, the developer stated that he would reuse on-site as many materials recovered from deconstruction as possible, including joists and flooring. All of the concrete was ground and used for fill. “We went into the buildings first and pulled out everything we could get with our hand crews,” Primdahl explains. “Then we worked with the backhoe operator. He would open up a section and pull wood boards down for us. We would go in and take them out, and denail and bundle them. The backhoe operator, who had been used to ‘crunching’ things his whole life, was amazed at the end of the project because there were these big piles of nicely bundled wood. He was getting into the project so much that he was pulling out one-by-fours with his backhoe for our crew to denail. It completely altered his perspective on the value of materials as he worked on that project.” About 60 percent of the clean wood was recovered as lumber; the rest was not recoverable and processed into mulch. About 80 percent of the six-by-eight-inch terra cotta blocks loosened by the backhoe also were recycled. Another project involved a private Portland hospital building purchased by a major shoe company. Demolition contractors initially were very interested in removing the abundance of reusable items. “When they walked into it, they were totally overwhelmed by what to do with it all – how to get it out, how to process it and how to find a market,” explains Primdahl. “I think we were about the last ones called in.” DeConstruction Services removed 25 40-foot container loads consisting of hundreds of stainless steel and porcelain sinks, toilets, cabinetry, millwork, doors and other items. Most were taken to the Rebuilding Center. Other items were donated for reuse at clinics in Bosnia, Montenegro, Azerbaijan, Honduras and El Salvador in partnership with Mercy Corps International. Not all reusable items are appropriate for the Rebuilding Center. Aluminum windows, for example, cannot be used in the Portland area because they do not meet the energy code. While preparing to send them to El Salvador, DeConstruction Services learned that the windows are not part of the culture there. They could however go to residents in Chechnya. Donations to other countries are coordinated through Mercy Corps International in Portland, which creates economic opportunities in areas torn by internal strife. DeConstruction Services’ first project with the fellow nonprofit was the donation of containers of new and used building materials to Nicaragua and Honduras after Hurricane Mitch. Mercy Corps handles all shipping through supporter donations and government funding. The tax deduction is a determining selection factor for about a third of DeConstruction Services’ clients. The owner of one large house was charged $18,000 for the deconstruction and earned a tax deduction of about $53,000 for the value of the donated materials. A 1,200-square-foot house typically can claim from $5,000 to $8,000. On a dollar to dollar basis, deconstruction appears to be a winner over standard demolition. “What we have discovered is that our crews are cost competitive straight up with the bulldozers,” says Primdahl. Workers are paid $10/hour to start, with the average pay $13.75 to $14/hour. Supervisors earn $15 to $18/hour. Despite this pay scale, DeConstruction Services receives 75 to 80 percent of the jobs on which it bids. Sometimes it has an edge over demolition because of site logistics. “We do a lot of houses on steep hills where you can’t get a backhoe in very easily,” he points out. The bids also cut out the several thousand dollars that general contractors have to include as contingency money in case the foundation is damaged. In one of many examples, Primdahl’s winning bid of $99,000 to take down eight houses for an athletic club was significantly below the demolition price. OVERCOMING OBSTACLES The typical barrier against deconstruction at job sites is the limited time available. That is not a factor for DeConstruction Services. “If the time line is a big issue to the contractor, then we will get in there with a big enough crew to get it done,” notes Primdahl. At Lewis & Clark College, for example, the crew recently had ten days to deconstruct three of six houses and finished the project in nine days with about 25 workers. DeConstruction Services signed its first contract outside Portland a few months ago for a job in Vancouver, Washington. After it partnered with the local resource conservation and development agency for publicity, nine calls were received about 12 different buildings. DeConstruction Services picked up most of those jobs. “This is a concept whose time has come,” says Primdahl, “and with the proper market for materials methodologies, systems thinking and models for bidding and estimating, it can be done cost competitively without having to be a subsidized industry.” – D. B.